The US tax system is too contrived and complex to be fully understood by most US taxpayers, and the situation is leading to significant tax revenue losses and economic inefficiencies. On June 28th the US Government Accountability Office presented a report on analysis of the relationship between complexity of the tax code and national tax compliance levels. The study was presented by the Chairman of Senate Finance Committee Max Baucus, who said that simplifying the tax code would make a significant impact to the country’s USD 345 billion tax gap. According to the Senator the tax system has become too complicated for many Americans to comply with. As an indicator to the growing complexities of fulfilling tax obligations, he pointed out that in 1987 the Internal Revenue Service’s instruction booklet for individual filers was only 56 pages, but has by now grown to more than 170 pages, with a constant stream of updates and extensions. He said that many of the currently standing tax rules are vital in order to adequately calculate all incomes and deductions. But complying with the rules is currently costing US taxpayers approximately USD 107 billion per year, primarily on tax preparers and other tax accounting and taxation services. According to conclusions drawn in the report, due to the complex nature of the tax code, the US economy also suffers from significant reductions in economic activity and lowered tax revenues. 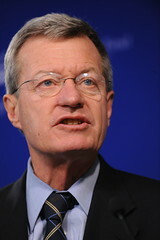 Max Baucus recommended that any overhaul to the tax system should first concentrate on easing compliance, in order to draw greater tax revenues, instead of altering tax balances and rates. He suggested that greater infrastructure investment be made into the IRS to install new error and fraud detection systems. According to the report, the US tax code currently contains too many tax deductions and loopholes, which also serve to further decrease economic efficiency and increase tax compliance difficulty.